Find out more about iSmartAlarm iCamera Keep Pro with customer reviews, pricing, key features, and frequently asked questions. 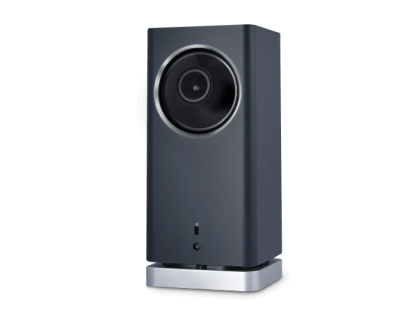 The iSmartAlarm iCamera Keep Pro Reviews is a smart security camera that can detect motion and sounds. The camera has a motorized mechanism that allows it to zoom and tilt from its stationary position. Pros: Easy to set up, crystal-clear image, pan feature. Cons: Motion tracking is erratic, only records clips in 10 second intervals. Bottomline: High-quality resolution camera for indoor use. Does this camera work in non-US countries? Yes, you can still use the iSmartAlarm iCamera Keep Pro in non-US countries with the mobile app. Can the camera recognize alarm sounds. Yes. If a smoke alarm sounds in your home, the camera will recognize it and send a notification to your phone. Can the iSmartAlarm iCamera Keep Pro see in the dark. Yes. The camera is equipped with night vision, so it can capture video and detect motion 24/7. How do I store video footage from the camera? With the iSmartAlarm iCamera Keep Pro, you can store video footage either in the cloud or locally on your computer. How the camera stores footage will depend on the settings that you choose when you set it up. Is there an iSmartAlarm app? iSmartAlarm has a feature-rich mobile app that you can download to any mobile device. You can use the app to manage your iSmartAlarm iCamera Keep Pro. What are some iSmartAlarm iCamera Keep Pro alternatives? Don't buy anything from this company. They don't bother to fix security flaws in their software. Look at how many CVEs they have. They were told 2 months ago that the cameras were configured with a username and password of "admin" and they still haven't fixed it. Working better than ever! Big thanks to the Ismartalarm team for finally get us back up and running!!!! Not experiencing any issues here but, hopefully you've learned from the last outage. Keep the updates regular.